For my birthday Darin and I finally took a quick afternoon trip up to the Getty Center. We’ve been saying we’re going to check it out since we moved here – it’s only about a 15 minute drive, and it’s free. ($10-15 for parking, though, but you get to take a totally rad tram ride with great views of the 405. So worth it.) We finally made good on our promise, and realized it was a mistake not to come here more often. 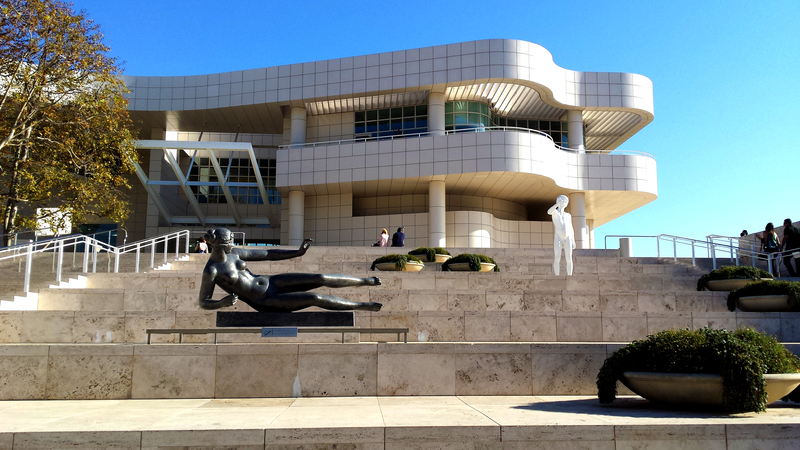 The Getty was really beautiful – the art/sculpture collections and architecture were gorgeous – but we definitely didn’t set aside enough time to visit. We managed to see half of one building’s art collections (there are at least four main buildings, for those of you good at math that’s somewhere around 1/8th of the collections), and then resigned ourselves to the fact that we weren’t going to get in enough exhibits, so we went off to explore the grounds. The grounds, it turns out, are reason enough to visit. And Holy Hera – those vistas! 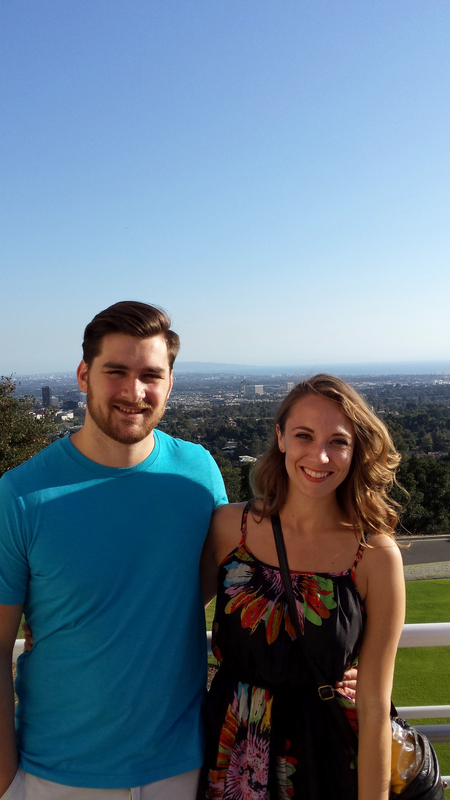 Behind us is all of downtown LA, Santa Monica, and the waterfront. We were so blown away by the vistas that we decided to share a few, saving some of the more incredible ones for when/if you visit the Getty yourself. (Also, we were way too stupefied by the more amazing views to remember to video them.) So sit back, relax, and watch us guide you through two incredible views in just over a minute. We apologize for the mumbly, whispering audio. We didn’t want to look like total nuts raving about the views into our phones. Pretend we’re conspiring with you, instead of just crazy. For those of you who have yet to come out this way, I highly encourage you to visit the Getty. You honestly can’t beat the price or the views. If you’re already out here, call us up and we’ll go together!